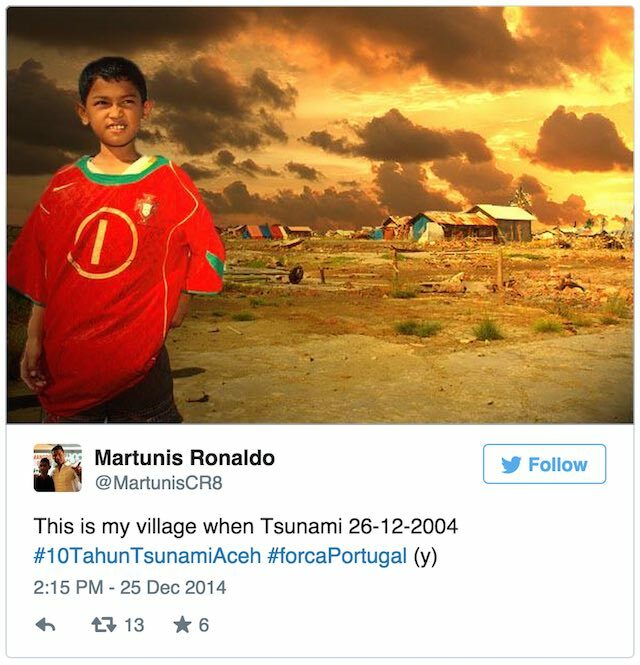 A boy, rescued from the Indonesian tsunami wearing a Cristiano Ronaldo soccer jersey, is learning to play “the beautiful game” where his hero trained. The 17-year-old Martunis — he goes by just one name, like football stars sometimes do — has joined Sporting Lisbon’s youth academy where Ronaldo got his start in Portugal. Martunis was only six when he survived for three weeks on noodles and water from puddles after losing his mother and two brothers in the 2004 tsunami. Journalists found him wandering on the beach and images of the little boy in the football jersey appeared in newspapers around the world. Ronaldo flew to Indonesia to meet the boy and help finance his education. The Portugal Football Association donated 40,000 euros to rebuild his house in 2005. Now, the teen’s education will include the same athletic training that prepared Ronaldo to become the world’s greatest footballer. 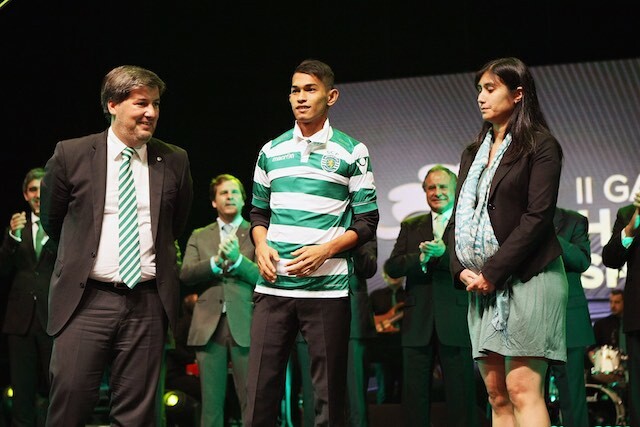 “Martunis, the survivor of the Indonesian tsunami, is going to live, grow and become a football player at the Sporting Academy,” Sporting Lisbon posted on its Facebook page.